Nkosana Makate has hit out at Vodacom for portraying him as “greedy and unreasonable” after the company said it had been generous in its compensation offer to him. “The CEO's determination considers me as a charity case and ignores the fact that I have a binding commercial agreement with Vodacom as found by the High Court and upheld by the Constitutional Court,” said Makate in a document posted on his Twitter account. He confirmed by phone to Fin24 on Sunday evening that the Twitter account was his. “Today I am portrayed as greedy, however, no one is asking me how much revenue has Vodacom and Vodafone generated from PCM versus the apparently generous/charitable offer determined by the CEO,” he said. 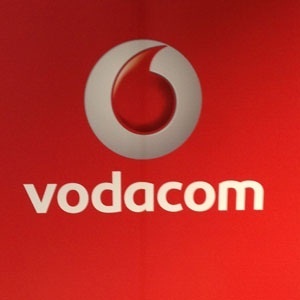 Vodacom said on Friday that the Please Call Me concept did not generate direct revenue, as it was free for users. The telecommunications giant closed its headquaters in Midrand on Thursday due to protests in support of Makate. But Makate said on social media the tool is now used by all Vodafone companies across the globe "and its revenues are massive". The Constitutional Court ruled in April 2016 that Vodacom must determine a reasonable payout to compensate Makate, after a lengthy legal wrangle. Makate has not accepted a settlement proposed by the telecoms giant, opting to apply for a judicial review of the firm’s offer. “I will soon exercise my rights in our courts and the public will find out the truth on my legal papers,” he said. "The truth of the R70bn liability will be dealt with in the court papers," he said. Makate's saga has earned him an outpouring of public support, including prominent figures such as the Gauteng Education MEC Panyaza Lesufi. Vodacom spokesperson Byron Kennedy, meanwhile, on Friday said Vodacom was committed to paying Makate a "substantial amount".